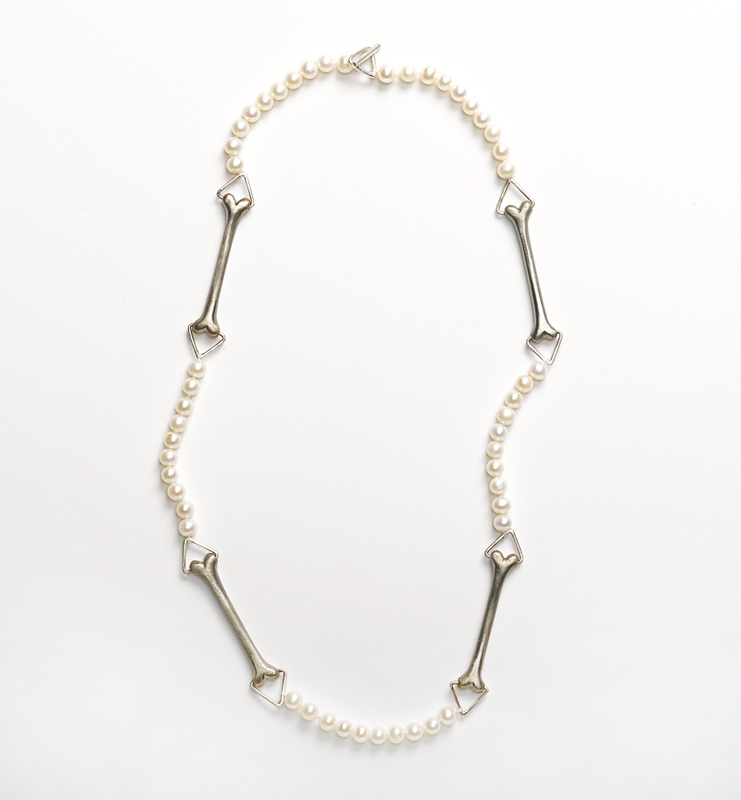 The bone and pearl necklace is a twist on the traditional strand of pearls. Potato pearls are strung in between stylized bones cast in white bronze with a handmade sterling silver clasp. Measures 18″.